Dallas FW Locksmith is an established Dallas and Fort Worth, TX locksmith company with 5+ years of experience in complete locksmith service. Our expert technicians offer fast and friendly service with up front pricing that is hard to beat. With a 30 min response time to most locations in our area, our mobile locksmiths also offer on call 24x7 locksmith service for emergencies. For business owners’ commercial locksmith needs, we install and repair closed circuit television (CCTV) systems. CCTVs are commonly used in government offices, supermarkets, parking lots, and city streets. They are also known as video surveillance systems. Closed circuit televisions use one or more cameras that are connected to a recording device. Sometimes, they are viewed openly on one or more monitors in an office or a control room kept in the building. The cameras can be small and discreet, blending into the environment, or they can be larger and more obvious. There are many reasons for installing closed circuit television systems. They reduce theft significantly because criminals will know they are being watched, and it deters their desire to steal. Sometimes, store owners use the system to ensure their staff are being productive and treating customers properly. High security government buildings often want closed circuit television systems installed because they want their staff to be as safe as possible from threats that can occur. By installing cameras, any criminals that attempt to rob or steal from businesses or offices are recorded. Police can view the footage and use it to catch them. 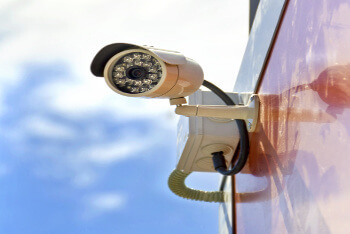 Many schools use CCTVs to ensure the safety of the children attending. The shootings in Columbine High School were recorded by a surveillance system. In fact, many major cases have been solved using surveillance system footage. Any person in the control room watching the monitors can quickly call for help as soon as they see something suspicious. This can potentially save lives in dangerous situations. Who Can Benefit From CCTVs? As mentioned above, many stores use closed circuit televisions to deter theft, but it also has many other uses. Liability issues regarding safety can be quickly resolved by pulling up the recording of what really happened. Factories often use CCTV for this reason. Claims of falls causing injuries or equipment damaging personal property can lead to lawsuits. Companies can protect themselves by having proof of what really happened, and this can save them significant amounts of money. Our Dallas FW Locksmith services can install and repair these kind of systems for your company. As you can see, there are many uses and benefits to having CCTV surveillance systems installed. They offer security for areas that aren’t safe for humans to be in, and they help deter theft. They can minimize your risk of lawsuits and even help ensure employee productivity. If you are looking for a Dallas FW Locksmith to install CCTVs for your business, look no further. We are licensed, bonded, and insured, and we offer upfront pricing. Our experts have been trained extensively, so you can be sure the job will be done right the first time. For fast, friendly, and reliable service, all you have to do is give us a call. We can set up an appointment to meet with you at your business to go over pricing and available surveillance security systems with you. Our experts will give you options available that you can choose from that will work best for your store or office. If you live in Dallas and Fort Worth, TX and surrounding areas, we are on call for 24x7 locksmith services, and we can answer your questions or concerns day or night. Call today to have your CCTV installed or repaired! Closed Circuit Televisions (CCTVs) http://dallasfwlocksmith.com/closed-circuit-televisions/ 3.9/5 based upon 12 reviews.